We offer private lessons that are tailored to suit your needs and your schedule. Sessions can be in your home, or if appropriate for the issue you're having, outdoors in a mutually convenient location. 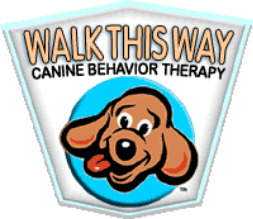 Sessions can be used to address behavior problems like aggression or anxiety, to set your apartment up for your new puppy, to teach basic training obedience/manners, or to do something fun like scent games or tricks. Please note: We do not address OFF leash aggression toward other dogs at dog parks or in any other public spaces. For the safety of both your dog and the others in attendance in a public park, these issues should be addressed in a controlled environment like a training facility. We provide private lessons in Manhattan below 96th Street and in areas of Brooklyn easily accessible by train. If you have questions about service areas, please email us. *Sessions are $135 each or 3/$380, and you do not have to commit to the package up front. Three packs are good for six months from the date you start, and you can pay as you go if you prefer. Sessions are 60 minutes. All clients are welcome to email us with questions for as long as they have their dog(s). We prefer cash, checks, & Venmo. If you need to use another form, ask and we'll try to accommodate you! Appointments scheduled for 12noon-8pm on weekends or after 6pm on weekdays require 48 hours notice for cancellations to avoid a fee of 50%. If we come to you & (whoops!!) either you or Buddy forgot we were coming, the full amount will be charged. Payment is due at time of service, and all deposits and fees are non-refundable. *All prices are plus NYS & NYC sales tax (8.875%). Returned checks are subject to a $30 bank fee and a $20 late fee. For multiple dog households, we do not charge per dog for home visits.